A flat and quiet neighborhood street with little traffic. Ride west on Hwy 50. You will pass Meyers and cross the Truckee River Bridge. Just past the bridge turn left on South Upper Truckee Rd. 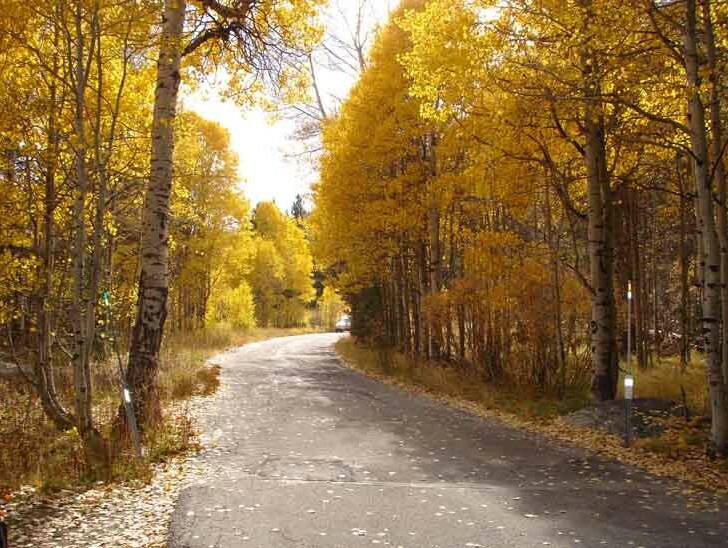 This is a fun and popular ride through Christmas Valley neighborhood – particularly in the fall when the Aspen trees are radiant gold. Near the end of the road, and before a steep one mile climb to Hwy 89, is a bridge across the Upper Truckee River – here is a beautiful and relaxing meadow at rivers edge. Ride Options: Just across the bridge is the trailhead to the Christmas Valley Downhill single track. 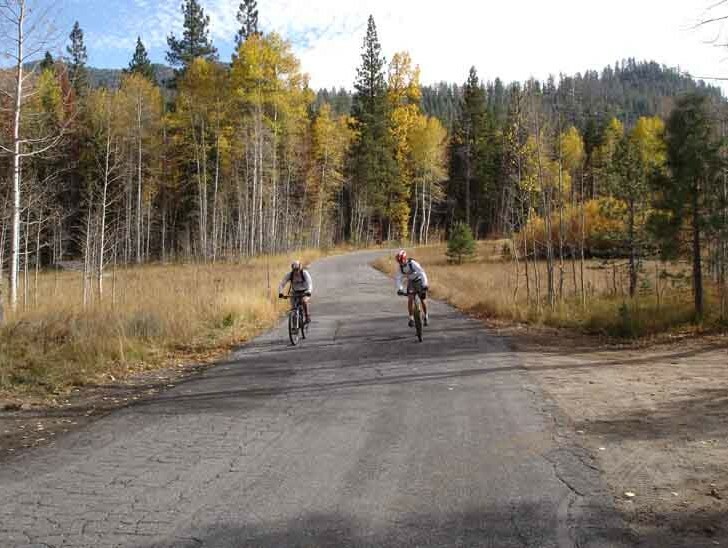 This road is commonly used by road cyclists riding the Emigrant Loop. This entire area, some 13,000 acres, was once the Celio Ranch. Founded in 1863, the Celio Ranch was used as a summer pasture for dairy and beef cattle – producing some of the sweetest butter and cheese in the region. 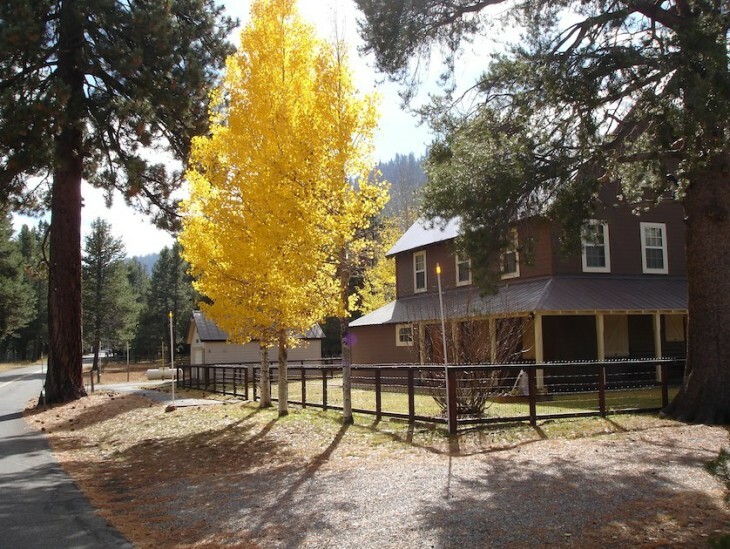 The ranch house has been restored by family members and gives you a glimpse of the agricultural ways during early Tahoe. A National Recreation Trail, Hawley Grade, is located at the end of the road, just before crossing the river. Hawley Grade was used by the Pony Express from 4/3/1860 to 11/17/1860. It was part of the Emigrant Trail coming over Luther Pass (Hwy 89) to cross the Sierra Nevada’s at Echo Summit. Emigrants would disassemble their wagons and transport the pieces by horse and then reassemble them at the Summit. A short distance (200 yards) from Hwy 50, on the right, is the old Meyers Grade which became the preferred route of the Pony Express and horse traffic. It was built by David D. Kingsbury and John McDonald and opened to wagons on 2/5/1861. 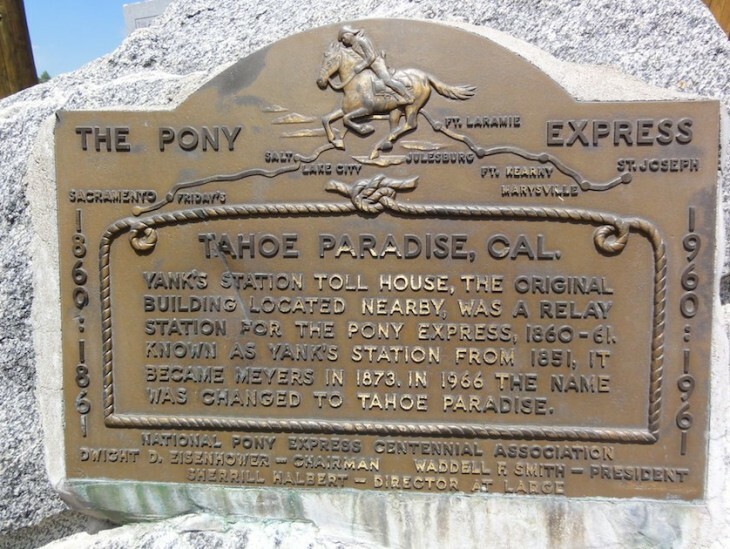 It connected to Johnson Pass Toll Road (Echo Summit). 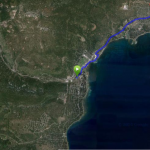 Today, it can be used as alternate route for Hwy 50 in the event a need occurs to reroute traffic. 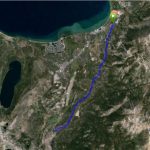 Option: You can actually ride up Old Meyers Grade and cautiously cross Hwy 50 and ride up Johnson Pass road (also part of the Lincoln Highway) to Echo Lakes.